As a medical professional or clinician, it is incredibly important to continuously add innovative new treatments to your treatment regimen as they are developed. In doing so, you are not only improving your chances of providing someone with effective treatment, but you are also broadening the treatment options for them to choose from. In this day and age, people want immediate results from treatment, and oftentimes they want the treatment to be done in a non-invasive and non-toxic way. Because of this, it falls on you, the medical professional or clinician to research and implement new medical technologies. The NGUI-MATRIX is an innovative new pain management technique that has been developed by Grandmaster Stanley Ngui, an international medical lecturer and owner of the NGUISTYLE CLINIC in Toronto, Ontario. Currently, Grandmaster Stanley Ngui is speaking at medical seminars and conferences around the world so that medical professionals and clinicians, just like you, can learn his innovative pain management technique. But how does one go about learning, and implementing, a new treatment within their clinic? Continue reading today’s blog as we outline the process of effectively adding new treatments within your existing regimen. As you likely already know, time is money in the medical and therapy industry. If you are not in the office and offering valuable treatments, it is unlikely that you will succeed. So when you are choosing medical conferences to attend, it is important to do so wisely — being that any amount of time that you are spending at a seminar or conference is time away from your clinic. Because of this, it is extremely important that you do your research when choosing what conference that you intend to spending your time at. First, you want to find a conference that is speaking to information that you could stand to benefit from. Second, you want to make sure that you find a conference or seminar that is being taught by someone with adequate credentials — a true expert in their field. The NGUI-MATRIX non-invasive pain management technique is a wonderful asset to any clinic. Not only is it effective, but it is reliable, and appealing to people that are seeking non-invasive, and non-toxic pain management strategies. In addition to the reliability of the technique, when attending a NGUI-MATRIX conference you will be able to learn from Grandmaster Stanley, himself. Grandmaster Stanley has spoken around the world at accredited events put on by organizations like the World Organization of Natural Medicine. Consider attending an upcoming NGUI-MATRIX conference! Once you have determined what conference would best benefit both yourself and your practice, it is important to attend all events associated with the information that you intend on learning. Why is this important? There are subtle nuances in all treatment techniques that might be discussed in a follow-up workshop that is breezed through in the initial lecture. But why would some information be excluded from a lecture-style seminar? In medical seminars, especially those that have a follow-up workshop, it is normal for some aspects of the information to be summarized rather than taught in debt — after all, the seminar is what provides an overview of the information and the workshop is meant for the more technical logistics. Because of this, it is important to attend all interactions where the treatment method is discussed. The NGUI-MATRIX can be taught in two ways — the first being in an intensive lecture, and the second being a brief lecture followed by a practicum-style workshop. In fact, Grandmaster has multiple of each event scheduled to take place around the world. To view a list of upcoming events, click here. As a medical professional, you likely understand just how important practice and studying is when it comes to learning and retaining new medical techniques. After all, you have a legal commitment to fully understand the treatment regimen that you intend on providing to patients. Whether you simply familiarize yourself with the materials more often, or if you actively participate with other medical professionals to practice the technique, it is important that it is practiced and retained in order for you to be able to confidently offer the treatment to those in attendance of your clinic. Last, but certainly not least, it is important to implement the treatment within your clinic’s day to day operations. When implementing a new policy or treatment, it is important to inform all personnel and employees that will be affected by the new treatment. 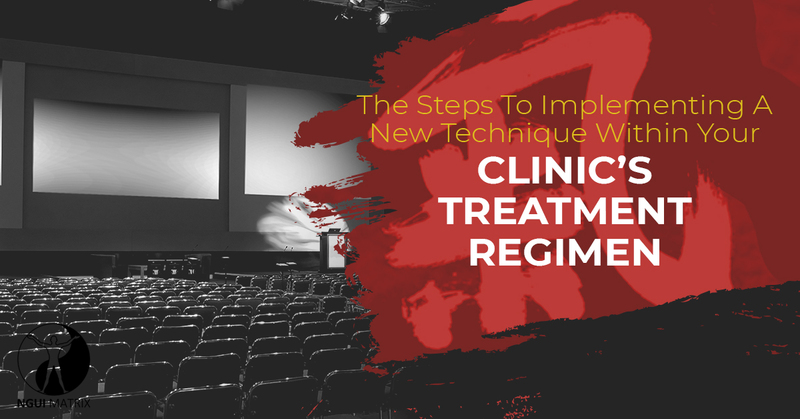 Next, it is important to put training and knowledge refreshers in place that can allow people to learn the new technique, as well as retain the information that they have learned — thus ensuring the long term quality of treatment in your clinic. Are you looking for an innovative new medical treatment to implement within your clinic’s standard treatment regimen? If so, we urge you to consider purchasing a ticket to an upcoming NGUI-MATRIX speaking event. Is there not even in your area or an event that you can justify traveling to? Contact us today to inquire about booking Grandmaster Stanley Ngui at an existing medical event near you. For more background information on this innovative new main management treatment, we urge you to visit our website. We look forward to seeing you at an upcoming conference.